The recent unusual amount of snowfall over different parts of Europe has resulted in a number of deaths and massive disruption. While those kinds of conditions are not the norm, it's important to bear safety in mind if you are one of the many thousands of people who take to the slopes on skiing holidays each year. 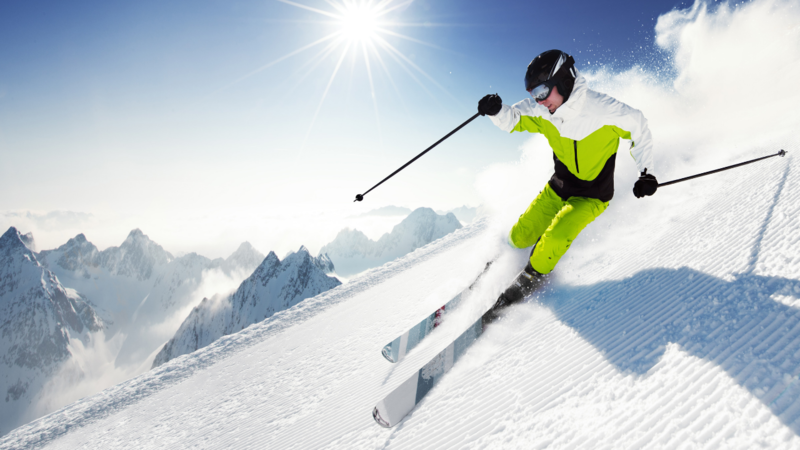 Skiing can be pretty hazardous at the best of times and there is always a code to follow with safety measures in place to ensure you not only enjoy the experience but come through it unscathed. One of the simple things you can do, which will give you and your loved ones reassurance while you're out on the piste, is to carry a personal tracker - a small but effective device which will monitor and relay your location at all times and issue an alert if you have an accident. The Bulldog TR99 is the tracker of choice for many sporty people because it's so tough and enduring in the most difficult of conditions. It is particularly useful and a vital piece of equipment for skiers because it might just save your life! It can be easy to get lost, take the wrong route, simply find yourself in the wrong place at the wrong time as severe weather closes in or take a heavy fall. The TR99 will cut down the response time of any rescue team as it continues to send out your location. The TR99 is shockproof, waterproof, is something you can put in your pocket and be safe in the knowledge that your location can be shared in real time via a high quality tracking service. We like to think of it as a safety buddy with an SOS phone alert installed and should you be unlucky enough to be caught out by the conditions or have an accident it will call preset numbers, highlight full GPS coordinates and allow help to home in on your position. It has a battery life of up to 400 hours, can be recharged through an optional wireless charging pad or standard USB lead and has three modes of communication - via smartphone app or the internet. The tracker can make and receive calls, issue automatic SOS alerts and SMS notifications and has an integrated Google Map link. The TR99 doesn't have a restriction on the number of people who can access the information, meaning as many as is thought necessary can receive alerts and notifications. It has the added advantage of a mutli network roaming SIM that works across 66 countries which means the tracker will stay online and keep you safe wherever you happen to be on the continent - making the TR99 an essential part of your holiday luggage. But remember - we have hundreds of Bulldog tracker fans around the globe whether they be walkers, cyclists, lone workers - so be tracked for your own safety!